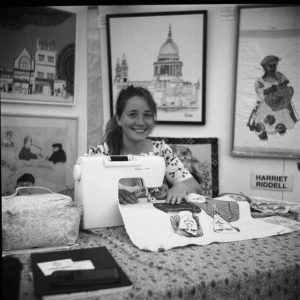 Normally found stitching her way around the world on a peddle-powered sewing machine, we have persuaded Harriet to return to the studio to teach a few more lucky students how to stitch this curious world onto canvas. This course is for the experimental, adventurous and brave! A crash-course introduction to mark making with free motion embroidery. Learn how to create proportioned portraits and translate them into stitch with your sewing machine. Experiment with reverse-photo-stitching and decorative appliqué techniques. Indulge on working on a personal project with one-on-one support and guidance from Harriet. Continue to explore more free motion embroidery and appliqué in portraiture, storytelling or capturing a scene.